Became a worldwide sensation for harnessing the power of social media to make outer space accessible to millions. Called “the most famous astronaut since Neil Armstrong,” Chris Hadfield continues to bring the marvels of science and space travel to everyone he encounters. The first Canadian to ever command a spaceship as Commander of the International Space Station. Awarded with the Order of Canada, the Meritorious Service Cross, and the NASA Exceptional Service Medal. He was named the Top Test Pilot in both the U.S. Air Force and the U.S. Navy, and has been inducted into Canada’s Aviation Hall of Fame. Bestselling author of An Astronaut's Guide to Life on Earth: What Going to Space Taught Me About Ingenuity, Determination, and Being Prepared for Anything. chrishadfield.ca "An Astronaut's Guide to Life on Earth"
“Good morning, Earth!” That is how Colonel Chris Hadfield – writing on Twitter – woke up the world every day while living for 5 months aboard the International Space Station. 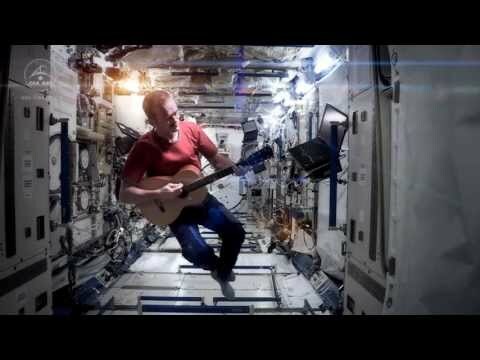 Through his 21-years as an astronaut, 3 spaceflights and 2600 orbits of Earth, Colonel Hadfield has become a worldwide sensation, harnessing the power of social media to make outer space accessible to millions and infusing a sense of wonder into our collective consciousness not felt since humanity first walked on the Moon. Called “the most famous astronaut since Neil Armstrong,” Chris Hadfield continues to bring the marvels of science and space travel to everyone he encounters. Colonel Hadfield is a pioneer of many historic “firsts”. In 1992 he was selected by the Canadian Space Agency as a NASA Mission Specialist – Canada’s first fully-qualified Space Shuttle crew member. Three years later, aboard Shuttle Atlantis, he was the first Canadian to operate the Canadarm in space, and the first Canadian to board a Russian spacecraft as he helped build space station “Mir.” In 2001, aboard Shuttle Endeavour, Colonel Hadfield performed two spacewalks – the first Canadian to do so – and in 2013 he was Commander of the International Space Station – the first and only Canadian to ever command a spaceship – so far. A heavily decorated astronaut, engineer, and pilot, Colonel Hadfield’s many awards include receiving the Order of Canada, the Meritorious Service Cross, and the NASA Exceptional Service Medal. He was named the Top Test Pilot in both the U.S. Air Force and the U.S. Navy, and has been inducted into Canada’s Aviation Hall of Fame. He is the author of two internationally best-selling books, An Astronaut's Guide to Life on Earth and You Are Here, and has been commemorated on Canadian postage stamps, Royal Canadian Mint coins, and on Canada’s newest five dollar bill (along with fellow astronauts Steve MacLean and Dave Williams).